Due to the purpose and placement of these latches, they must be sturdy while at the same time accessible. Gates are found in industrial, agricultural, commercial and private settings and must be well suited to specific circumstances. Gate latches, as indicated by their name, are used as closure devices for any number of gate-like openings for walls, fences, cages and more. A wide variety of gate latches are available to fit these varied needs. Latches are mechanical fasteners which join two adjacent objects or components in a temporary method that allows for regular unfastening of the closure. 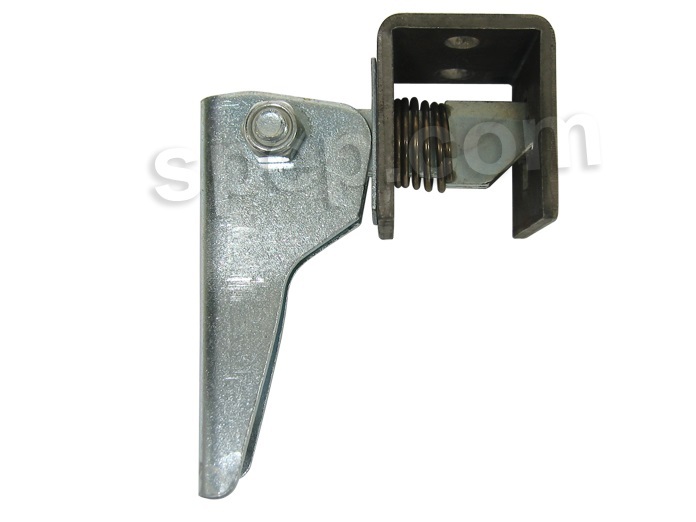 Gate latches are adjustable in both type of latch and in material used to manufacture it. The broad use of gate latches means that materials vary depending on the design and type of latch. Metals such as aluminum alloy, stainless steel and brass are used in the making of industrial latches, as well as thermoplastics and rubber for other latches used in lighter duty applications. Stainless steel is often used for gate latches in all environments as it is durable and corrosion resistant, though coating and other finishes are available for aesthetic purposes and also available to enhance the physical qualities of the metal. Most gates are outdoors and therefore the hardware used in conjunction with them must be suited to surviving weather elements and wear and tear. Bolt latches are among the most common fasteners for gates as they are simple to operate and still very effective in maintaining closure. 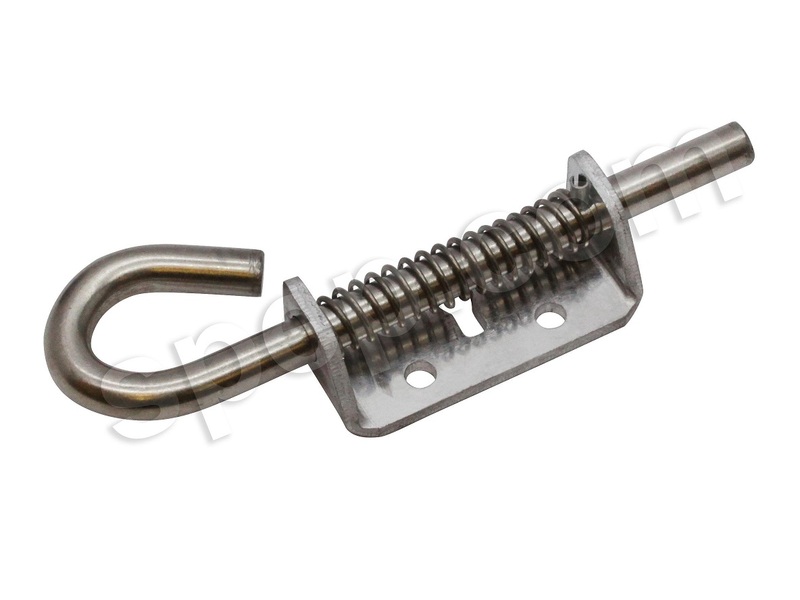 The components of bolt latches are straightforward, two plates with cleats which are connected with a sliding pin, or bolt. Another type of latch commonly used with gates is spring latches that are particularly useful in industrial and agricultural settings. The spring ensures a secure closure while the latch is still easily released, allowing the gate to be opened and closed without difficulty. Slam latches are frequently used for gates allowing easy access and the ability to work quickly as the gate need not be manually fastened. Large slam latches are used in industrial and agricultural settings and are typically made from high strength metals while smaller versions made from metals or rubber and plastics are popular in private and commercial gates. Using latches on walled-in gates is fairly straightforward as the panels of the latches can be easily attached. With a gate in fencing however, the space on which to fasten latch components is often limited. While other latches may be used as gate or door latches, both bolt and slam latches require minimal attachments and are therefore well suited to the high traffic requirements of gates. Manufacturing processes for gate latches include die cast, stamping and forging. Gate Latches Gate latches are used to fasten and secure adjacent segments of fencing that ordinarily function as an entrance or exit.